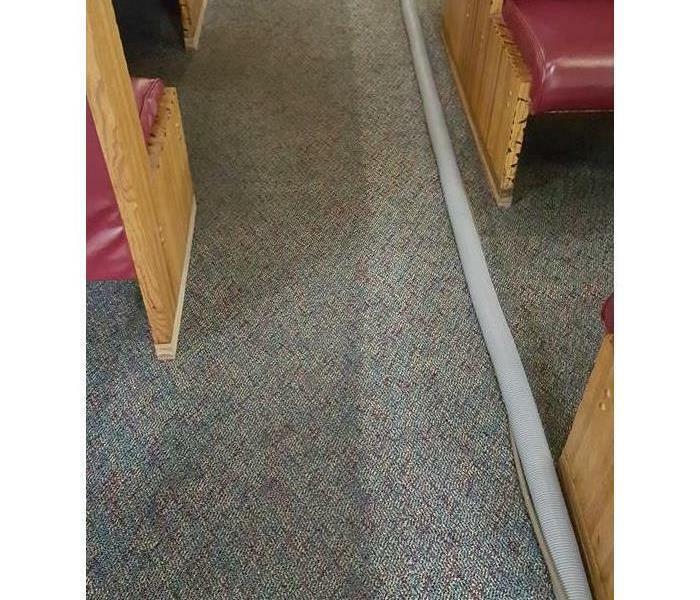 This is a restaurants carpet that had us clean their carpet. As you can see, it has food and grease build up causing it to be darkened and discolored. SERVPRO of Mason City has the trained staff and equipment that will bring your carpet back to its like new state. Look for the GREEN Trucks! 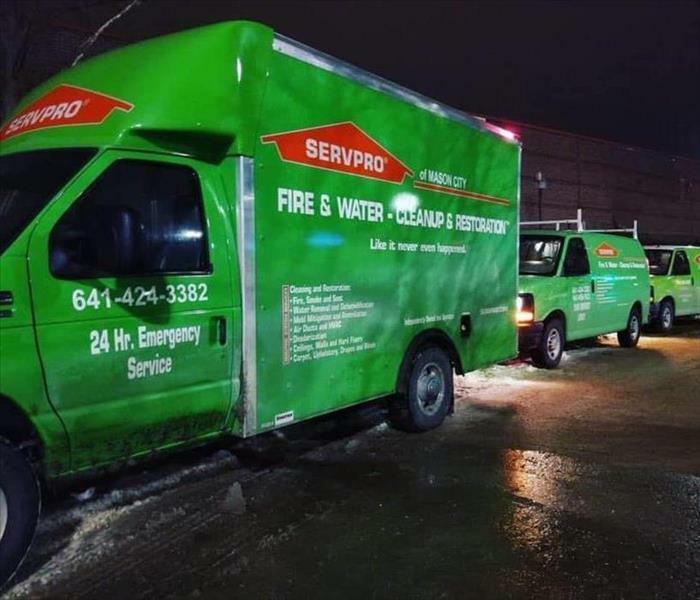 Seeing green trucks on the road means SERVPRO is on the GO! We are out helping local businesses and residents get their properties back to its, "Like it never even happened." state! 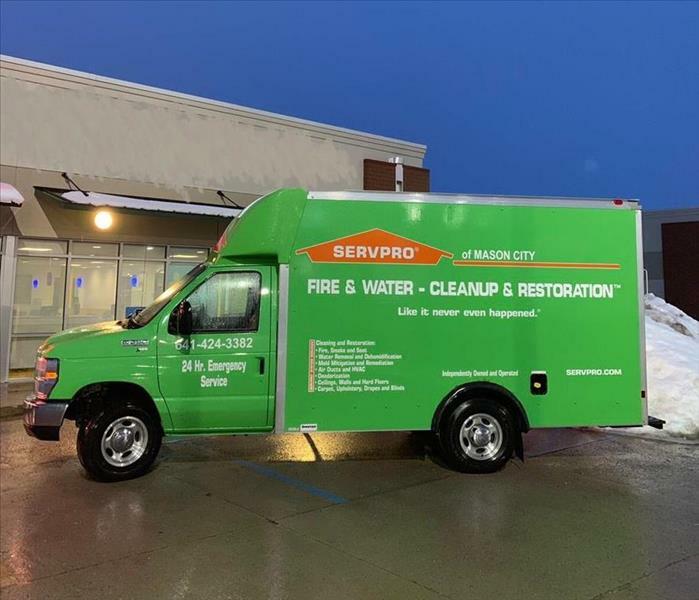 Green means clean and SERVPRO of Mason City is always out in Northern Iowa making it happen! 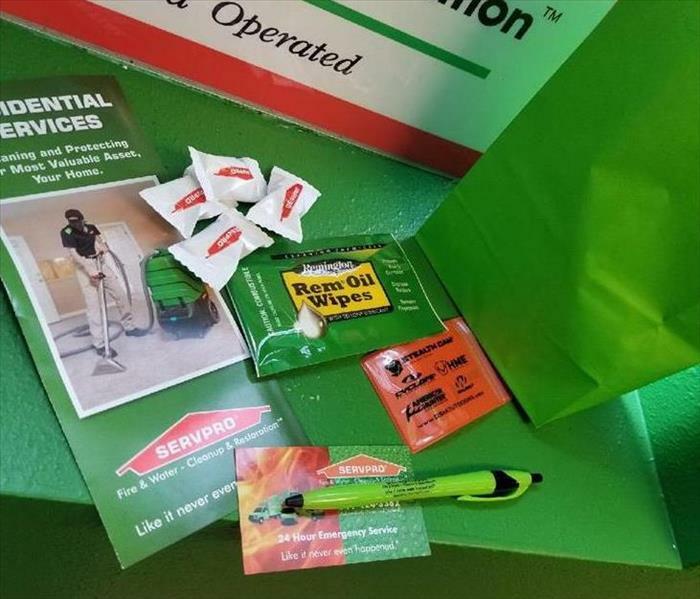 SERVPRO of Mason City employees are always equipped with the right technology and equipment for your needs. Each of our employees has their own iPad with latest software to accurately track progress at each job. Patriotism runs in our franchise! 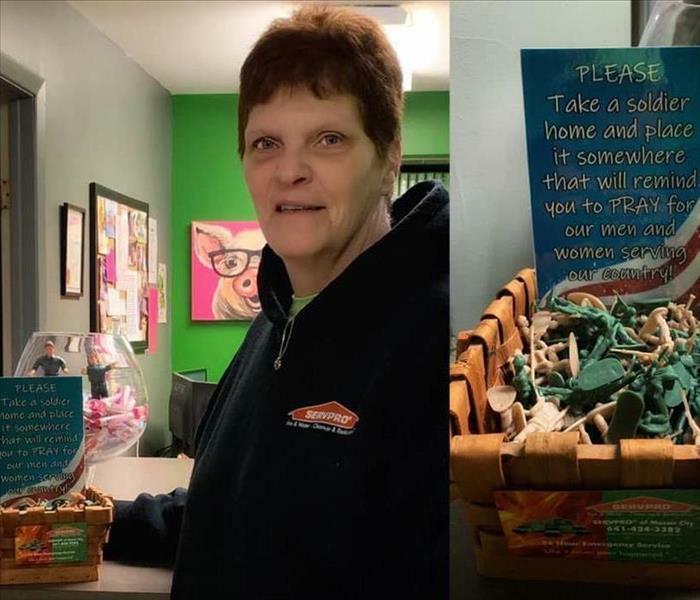 Deb placed this basket in our office for employees and customers to take a soldier home to be placed somewhere to remind them to pray for the soldiers serving our country. She’s not only done this for our office, but also at other places in her hometown. 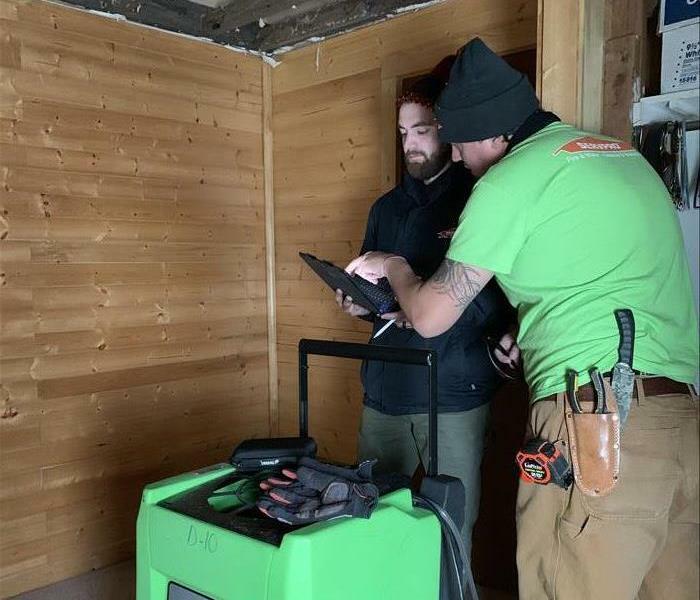 SERVPRO of Mason City visited a residential home where the home owners were a bit worried about the mold they had discovered after our last rainfall. 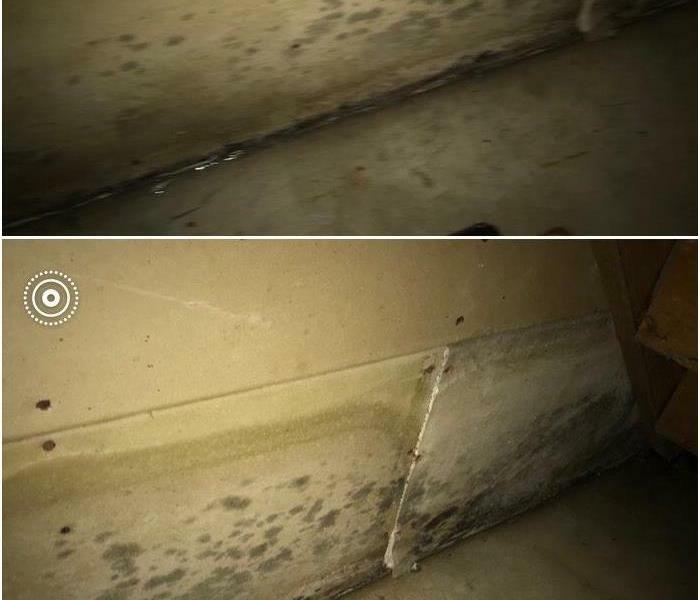 You can see they have had this issue before as the foundation has some sort of caulk where the walls come together. 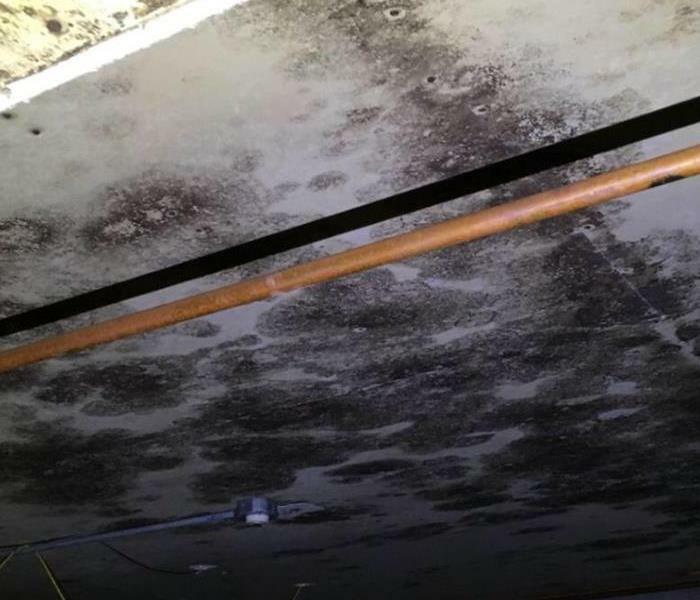 SERVPRO of Mason City was called out to inspect possible mold growth in basement storage room. After seeing that the mold had already came through the drywall we needed to get a better look. In the photo is a picture of what the wall looked like behind the sheet rock! SERVPRO of Mason City helped sponsor a Ducks Unlimited banquet in Carpenter Iowa this year (2018). The turn out was fantastic as there was around 150 people that came to the event. This picture represents a grab bag that we provided for everyone in attendance! We are experiencing a lot of water losses this spring which can lead to areas of held moisture causing mold to appear. 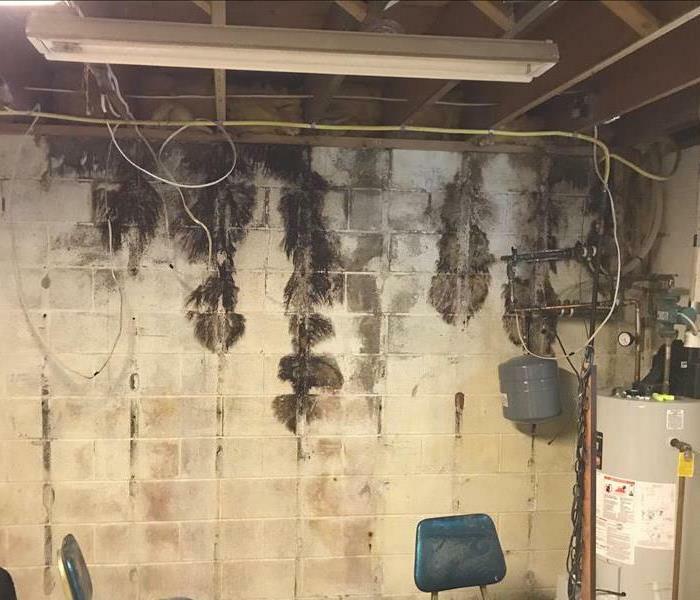 The photo here represents mold growth on drywall in a finished basement. 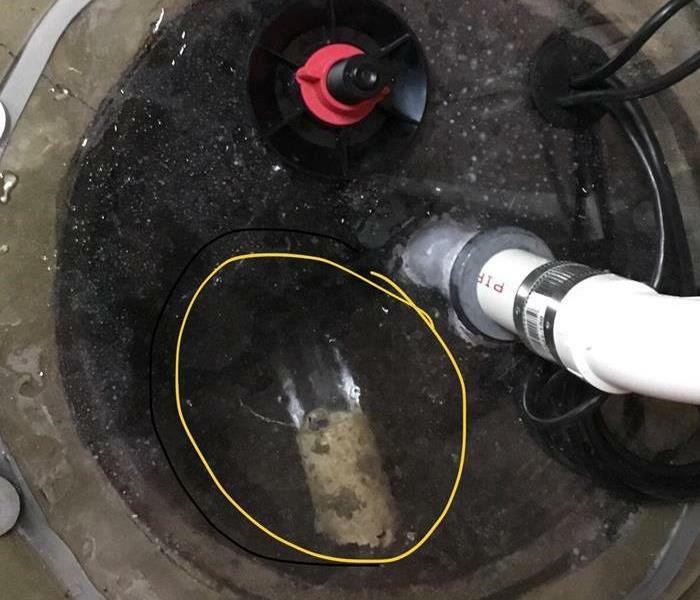 This is a photo identifying a sump pump taking in way to much water to keep up. Inside the yellow circle you can see the water flow as very heavy and continuous! Mason City, IA is were the North Iowa Band Festival is held every year. This was a perfect opportunity for public awareness and marketing our franchise. We have received a great responds from our city in regards to our attendance in the event! 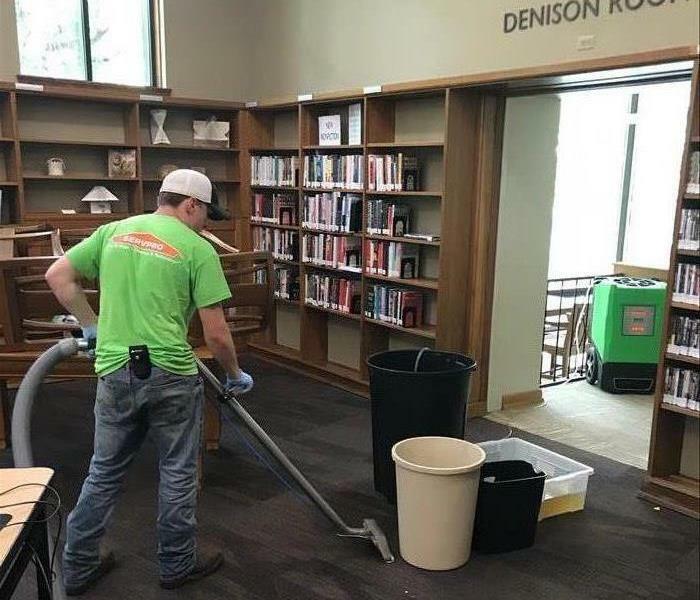 Heavy rain totals in Mason City lead to Public Libraries roof leak. In this photo we are taking action by extracting water from the main area carpet. There is also another location were it also began to leak which looked like it was raining inside! During the month of April we don't normally see a lot of snow. However this year for 4 days in a row it was rain snow rain snow! The snow totals were 33 inches and from December to March we had only received 23 inches total! 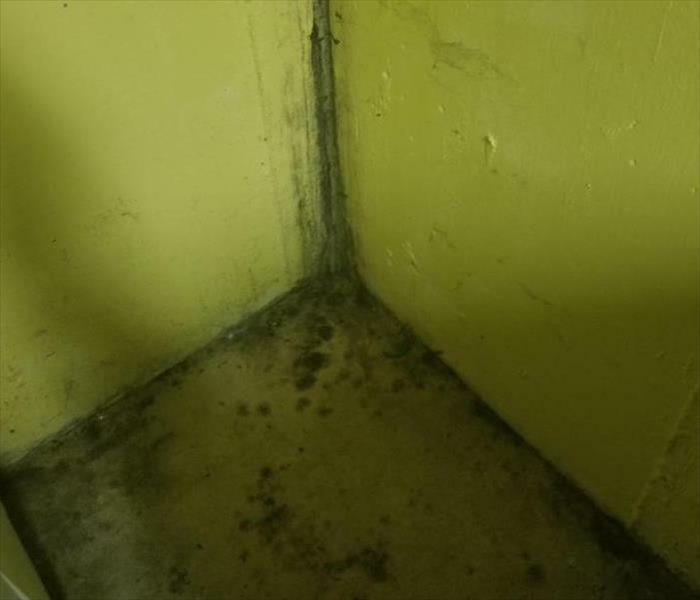 Mold growth can show up in as little as a few hours and can spread rapidly without addressing the situation. This photo here was taken 30 hours after the moisture was discovered. 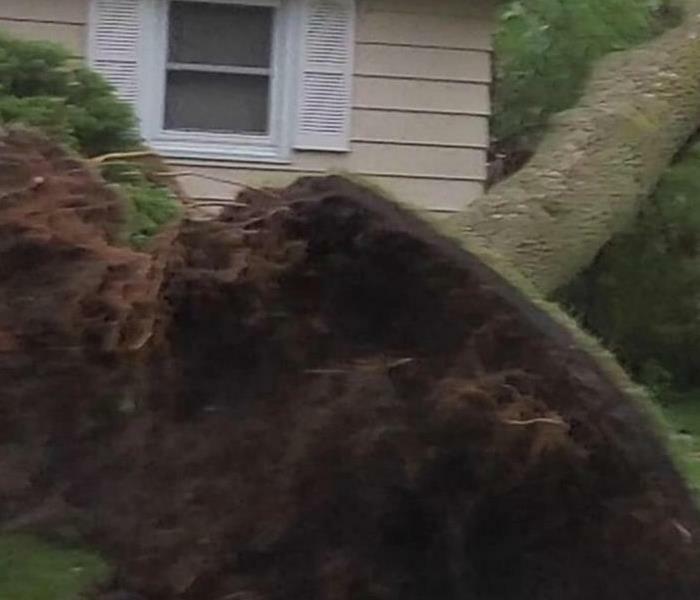 An employee from SERVPRO of Mason City lost a tree to severe storm over memorial weekend. 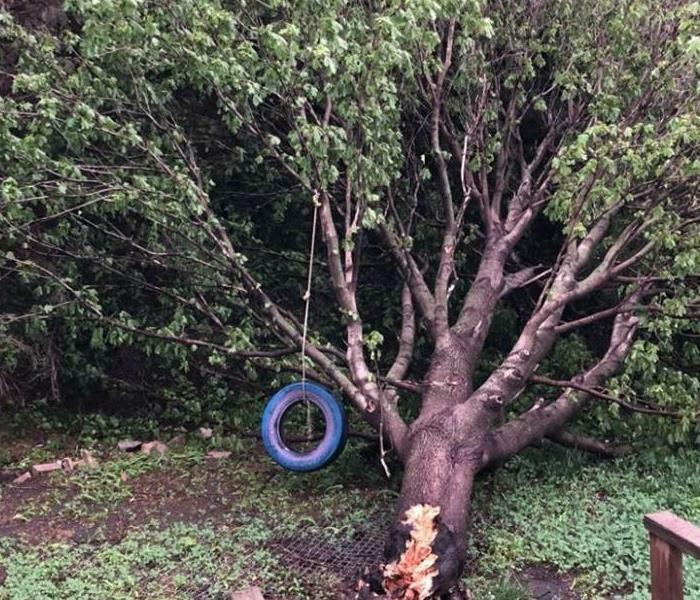 The children love this tree as it has one of their favorite things to do outside attached to it, which is the tree swing. Wind can have a large impact on how severe a storm can be! With wind speeds at high as 70 miles per hour at times. 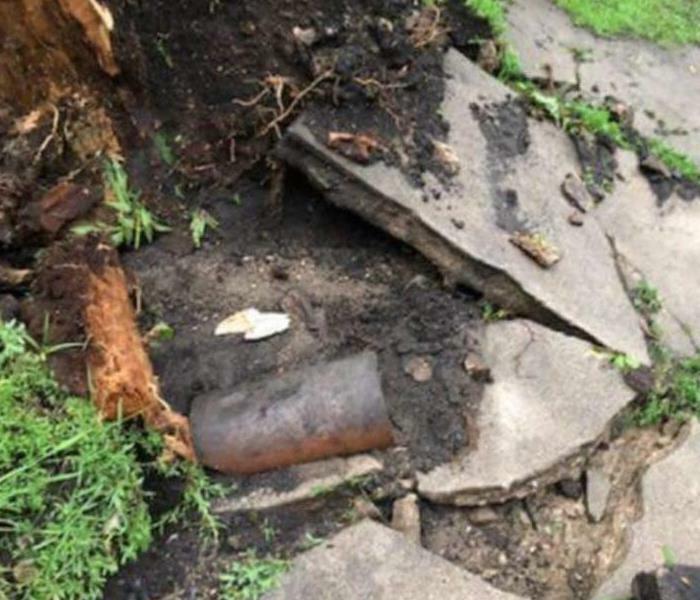 This tree had its roots even ripped out of the ground! Yesterday May 29th 2018, wind totals were between 40-70 miles per hour! 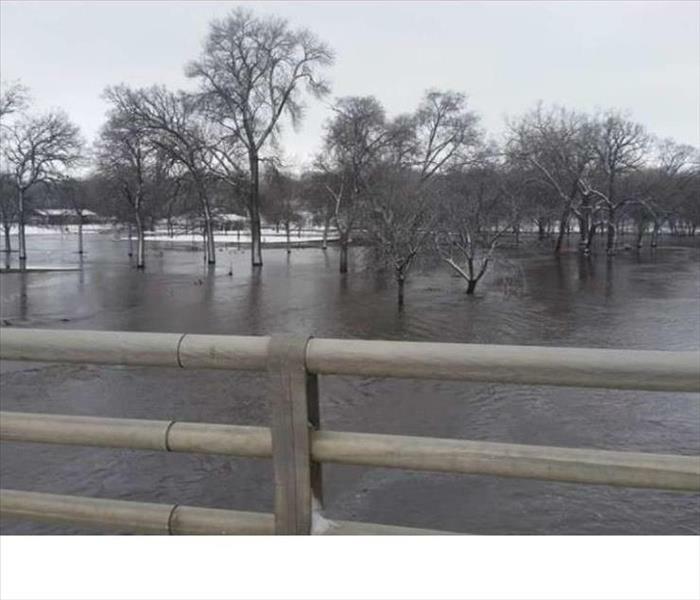 This photo was taken just down the road from SERVPRO of Mason City. The winds were so strong that a number of trees were affected, this one here even ripped up part of the sidewalk! Last couple of days here in Mason City, IA have been filled with storm after storm. 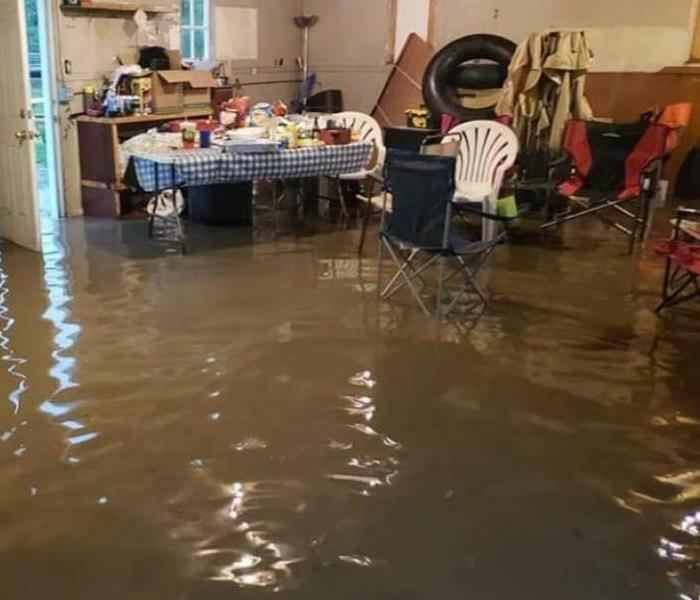 In this photo here you can see rainfall totals where out of the norm as this garage is taking on lots of water. 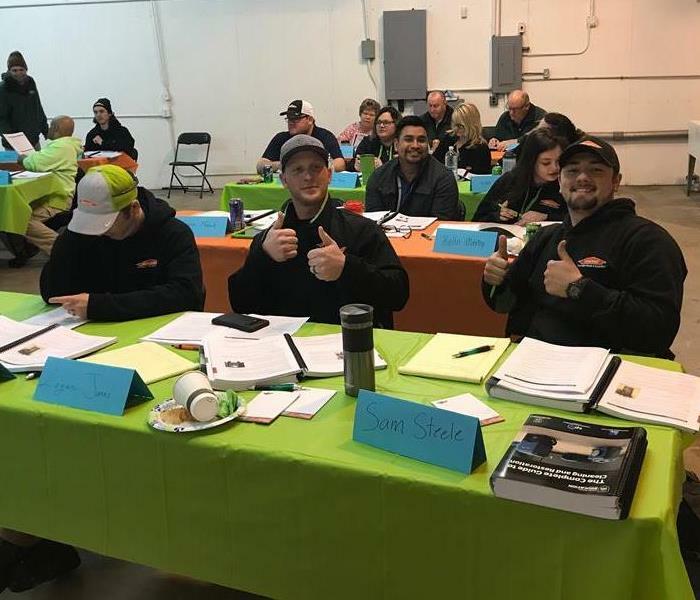 Several technicians from SERVPRO of Mason city took part in Fire & Water Restoration Courses to become IICRC certified! This certification gives our technicians more skilled training and knowledge on the restoration process for water and fire damage. 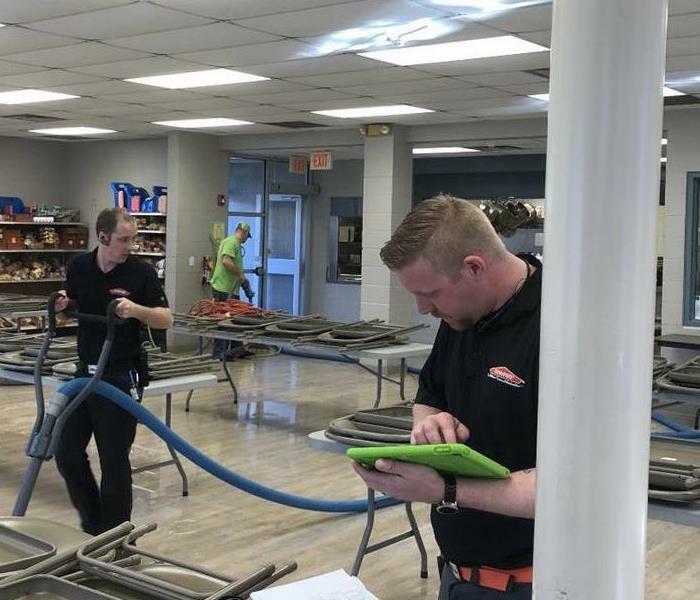 SERVPRO of Mason City Water Technician's taking on a huge water loss at one of our local businesses. The cause, sometime over night a water pipe broke and ran water everywhere until staff came in next morning. This is a very large area and they extracted roughly 290 gallons of water!! With the family back home and having the stress of the tragic event lifted. 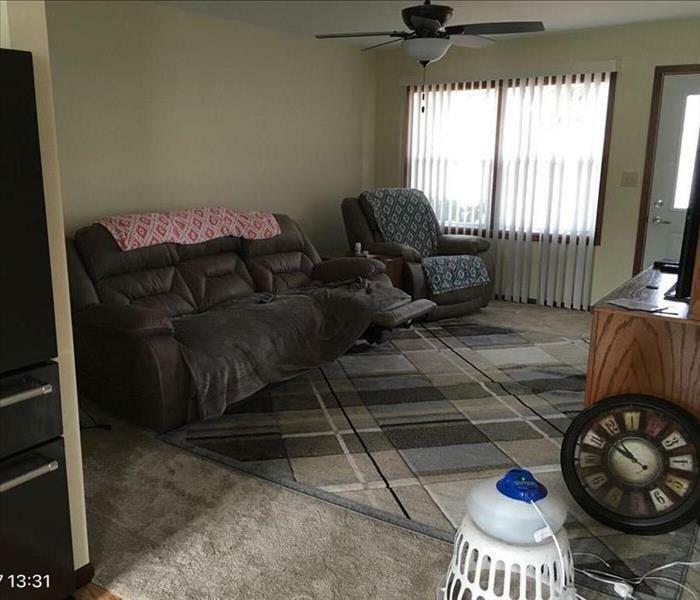 The faimly can relax and enjoy the company with each other in the comfort of their own home. 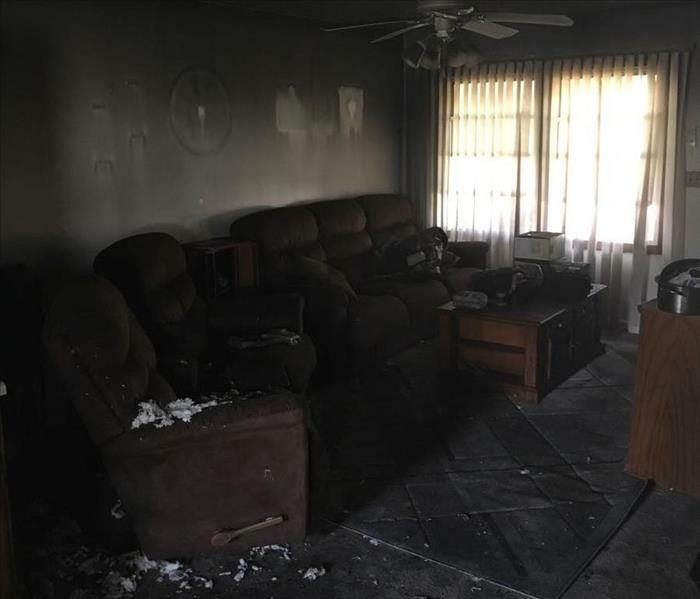 This Belmond Iowa fire showed the comminuty that SERVPRO of Mason City is here to help you even through the roughest patch most people will ever go through. 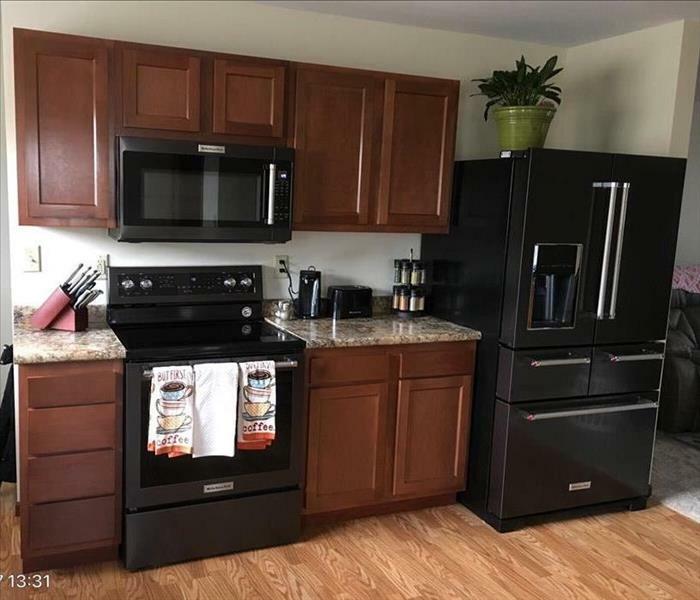 The home owner in tears when they see what was a very heavily damaged kitchen to seeing the end result. The level of quality we hold our employees to is second to none. The look of relief that most home owners have when they see the final product is the best feeling we can get. 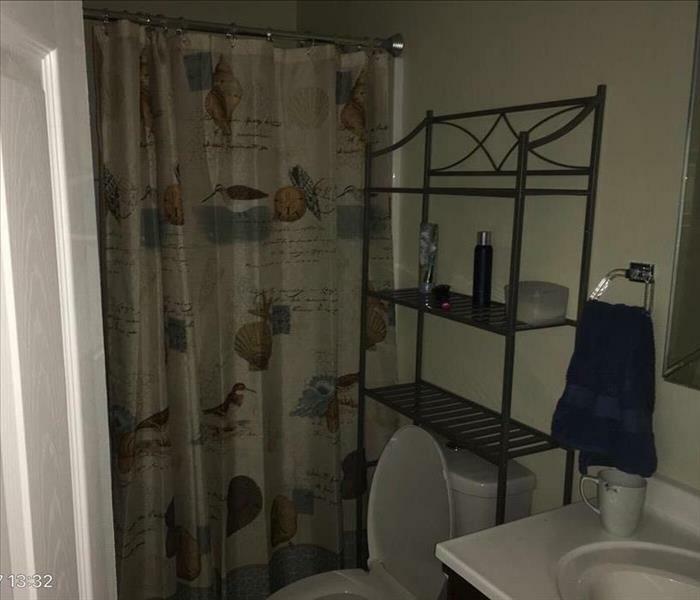 The home owner was so happy and surprised that we got the amount of work done as quick as we did. They where thoroughly impressed with the over all quality of work we did. SERVPRO of Mason City is very happy that we where able to help this family get back into their home and not be displaced. We pride oursleves in getting the families back into their own home. 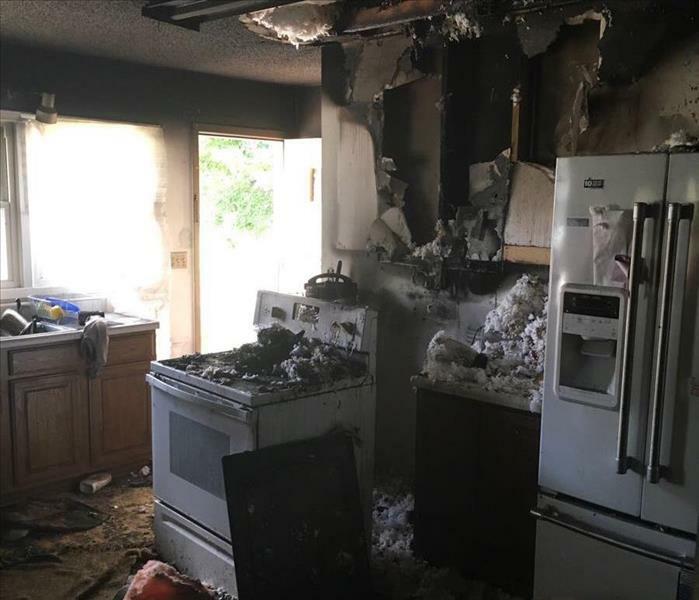 This kitchen fire in Belmond Iowa, Turned the home owners life upside down. SERVPRO of Mason City will all ways be there for you. We take pride in quick response time, professional attitude and our passion to help in any way we can. The home owner was just so glad they were able to get everyone out safely and that no one was hurt when the fire went down. This is the smoke and soot damage from a fire in Belmond Iowa. 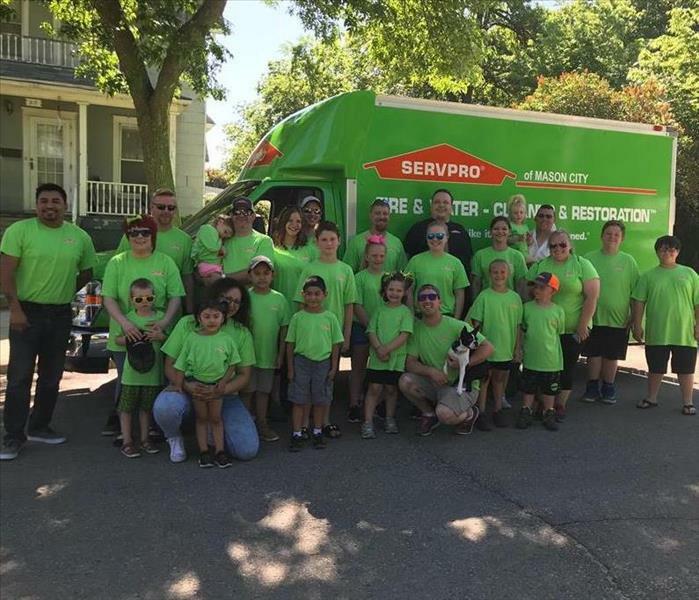 With the trying times a head for this family SERVPRO of Mason City were on the scene to help them through this very tragic time. SERVPRO of Mason City take a sense of pride in what we do. 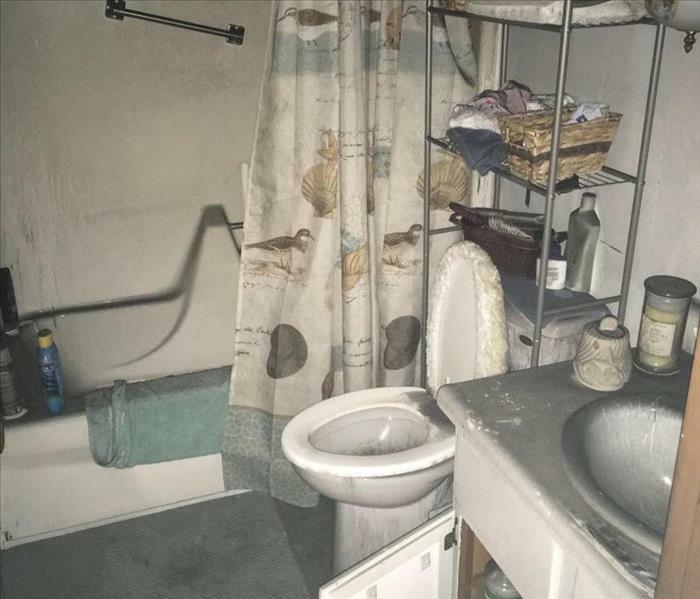 The home owner did not know what to do or even where to start. That is why we are always on scene as fast as we can to help with these trying times. This some of the aftermath of a kitchen fire in Belmond Iowa. We arrived on scene and started to figure out what needed to be done and help the customer get through this very trying time in their life. The home owner couldn't believe the extent of the damage. They were very happy that we got there and made them feel at ease with what our plan was and the knowledge we showed.